Key Difference: The IFRS stands for the International Financial Reporting Standards. It was developed by an independent, not-for-profit organization called the International Accounting Standards Board (IASB). 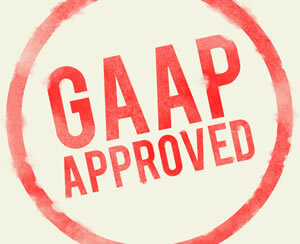 The U.S. GAAP or GAAP U.S. stands for the Generally Accepted Accounting Principles (United States). It is the reporting standard accepted by the U.S. Securities and Exchange Commission (SEC). Accounting is hard enough, however what makes it even harder is the fact that there a number of ways that that they can be reported. Two such ways are the IFRS and U.S. GAAP. In fact, certain departments and regulatory agencies require companies to follow a particular standard when reporting their accounts, whereas they may have to follow another reporting standard for another agency. Hence, a company should be aware of all types of reporting standards that they may be required to follow. The IFRS stands for the International Financial Reporting Standards. It was developed by an independent, not-for-profit organization called the International Accounting Standards Board (IASB). The IFRS came out as a need for an internationally accepted reporting standard, so that international companies can report their accounts without running into technical difficulties. The IFRS is currently the accepted reporting standard in 110 countries around the world. The U.S. GAAP or GAAP U.S. stands for the Generally Accepted Accounting Principles (United States). It is the reporting standard accepted by the U.S. Securities and Exchange Commission (SEC). Basically, and company operating in the US needs to report its accounts in the U.S. GAAP format. The SEC has stated that it does intend to shift to the IFRS from the GAAP, so as to be on part with the world. However, progress has been slow and uncertain as the IFRS differ significantly from the GAAP. Regardless of the history or world politics involved, there are many differences between the two reporting standards. IFRS is considered within the industry to be more of a “rules based” system of accounting, whereas it is generally accepted that the GAAP is more of a "principles based" accounting standard. GAAP also requires a lot of overall detail in the accounts, whereas the IFRS covers much less. While there are a lot of differences in regard to the way the IFRS and the GAAP require accounts to be reported, one of the major differences is in regard to inventory. IFRA does not allow the use of last-in, first-out (LIFO) method for accounting for inventory costs, where with GAAP one can either use the LIFO or first-in, first-out (FIFO) for inventory estimates. Additionally, IFRS does allow for inventory reversals under certain conditions, whereas the GAAP does not allow for it at all. IFRS also allows for recognizes intangible assets if it can be shown that they have measured reliability and will have an economic benefit in the future. GAAP, on the other hand, recognized intangible assets at fair value. The last-in, first-out (LIFO) method for accounting for inventory costs is not allowed. Allows inventory reversals under certain conditions.